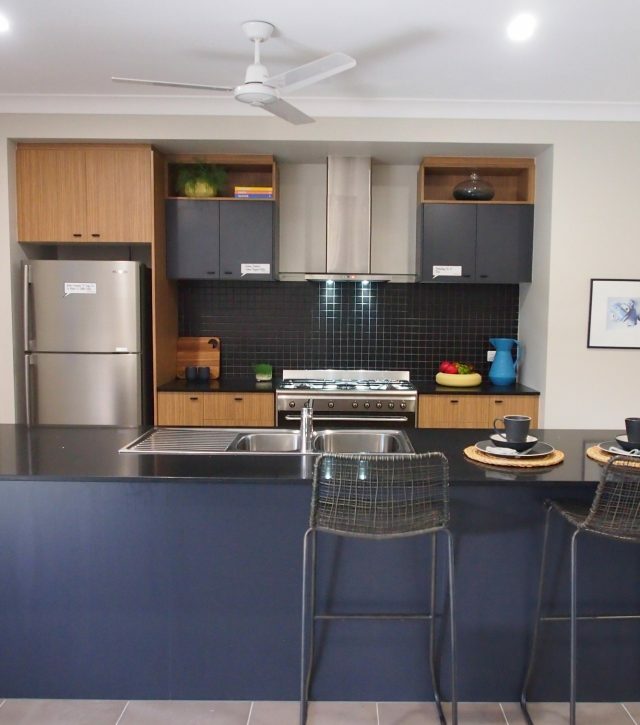 Gedoun’s 2nd display home at Barramundi Circuit features a dark blue with orange timber grain that complements each other perfectly! 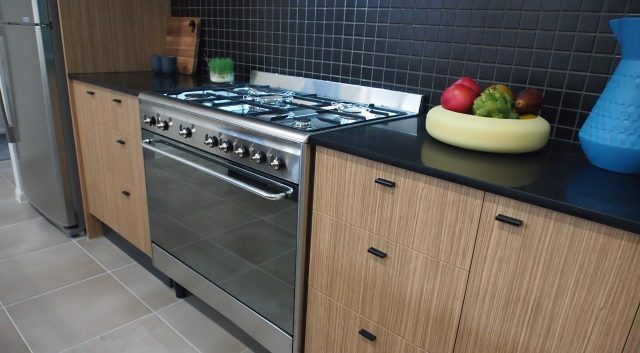 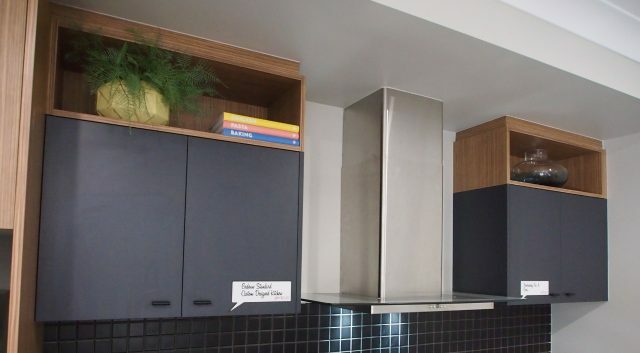 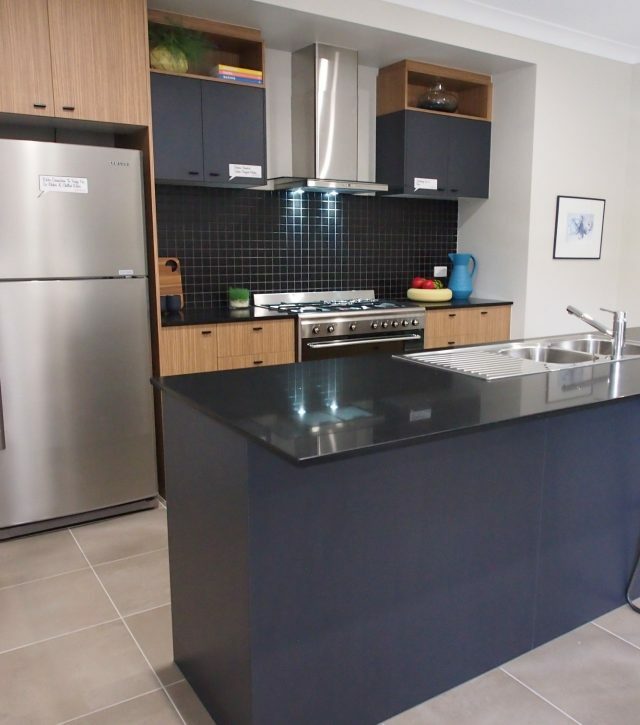 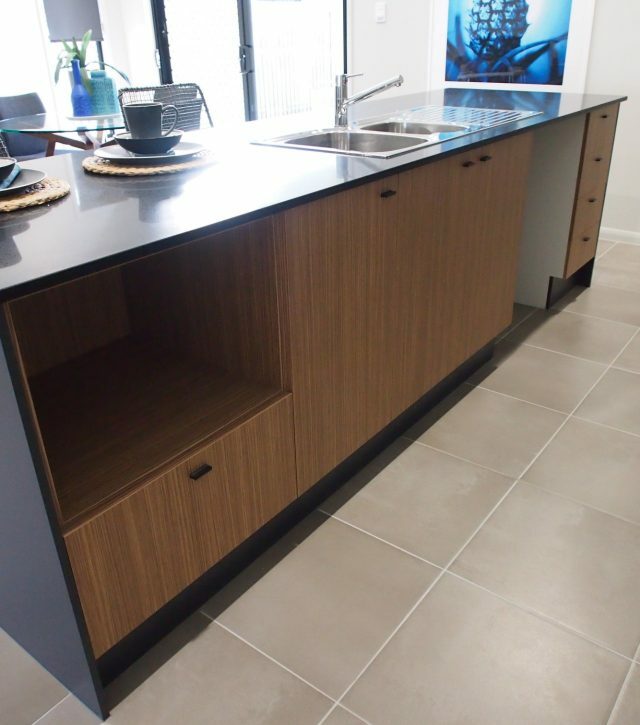 The dark tiled splashback flows into the benchtop and ties it all together. 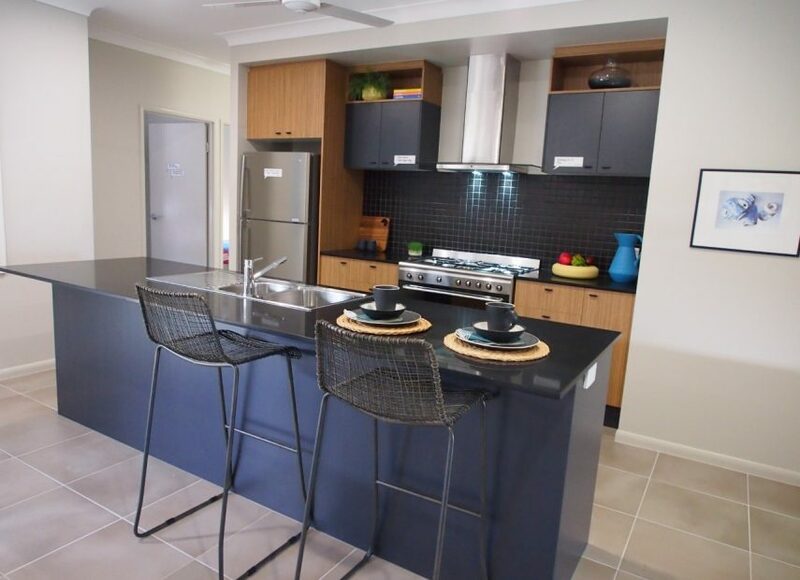 See more at the display village in North Shore!